The Glasgow City Health and Social Care Partnership’s Communications Strategy is available. The Communications Strategy was approved by the Glasgow City Integration Joint Board on 18 January 2017. More information on the Strategy’s background is available below. Communication makes an important contribution to the success of the Glasgow City Health and Social Care Partnership ensuring that the people who it works with and supports are aware of, understand and are engaged in its work. The wider public and external organisations are also likely to have an interest in information communicated by the Partnership. Good communication is crucial to the planning and delivery of services, effective professional practice and stakeholder satisfaction. 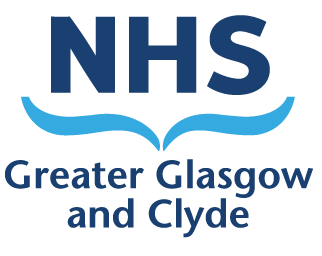 It can assist the Partnership to improve outcomes for the people who it supports and achieve its vision for community health and social care services within Glasgow City. sets out an action plan to further improve the way in which it communicates. The Partnership’s Communications Strategy largely focuses on communications and activity to communicate with large audiences, both internal and external to the Partnership. It also places importance on engagement in communications activity. The Strategy sets out how the Partnership will engage with its staff. There is a separate Participation and Engagement Strategy that sets out the principles and approach to the Partnership engaging with individuals, groups and communities in service planning and development. A significant degree of communications and engagement activity takes place in the Partnership’s localities and at an individual level, often face-to-face, at engagement sessions or in writing. Actions to promote and enhance such activity are included in the Participation and Engagement Strategy’s action plan. The Partnership’s Communications Strategy is informed by a communications survey that the Partnership previously conducted with internal and external groups of people (for example, staff within the Partnership; Shadow Integration Joint Board Members; patient, service user and carer representatives and the third and independent sectors). It was reported to the Partnership’s Senior Management Team in February 2016. Since then, a further communications survey was conducted in January-February 2017 to consider improvements that can be made to current communications activity. It was reported to the IJB Public Engagement Committee on 22 March 2017 with an associated action plan.